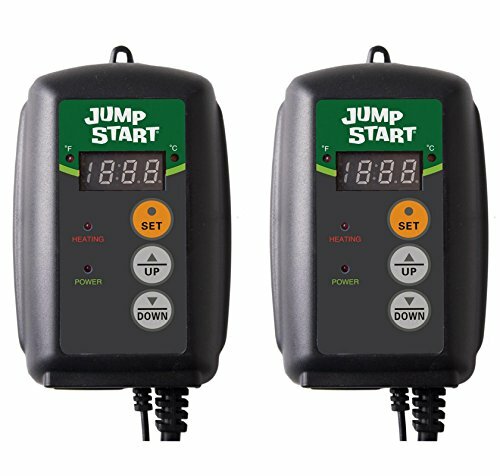 1 Buy = 2 Hydrofarm MTPRTC Seedling Heat Mat Thermostat Controllers! The Hydrofarm MTPRTC Digital Temperature Controller is new and improved. The new Hydrofarm MTPRTC heat mat thermostat is digital for greater accuracy. It provides constant optimum temperatures for specific crops and controls temperature in colder or warmer environments. Get the Hydrofarm MTPRTC Digital Temperature Controller at a great price. VMInnovations is an authorized Hydrofarm dealer selling new, warranted products! Please see our other listings, we offer a wide variety of indoor gardening products!